The Upper Elementary program at VMS is a multiage classroom comprised of students in the 4th and 5th grades. The engaging Montessori curriculum supports each student’s developmental growth academically, socially and emotionally while challenging them to solve problems, develop reasoning skills and harness their imagination. Three very important stages of development occur in the elementary years: The transition of the child’s mind from concrete to abstract reasoning, the birth of a moral sense, and an intensified interest to explore the natural and social environments of their world. 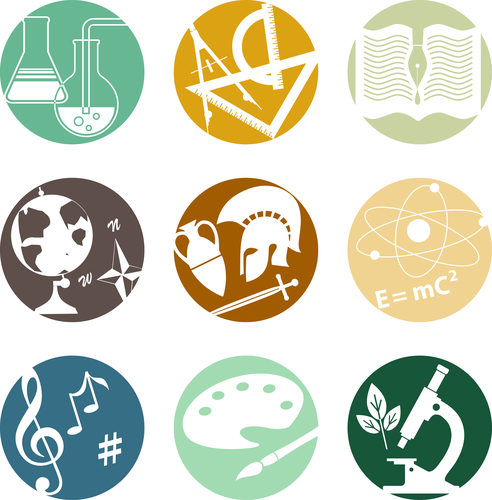 The elementary curriculum integrates history, geography, math, geometry, algebra, the sciences, language and literature which allows the children to see the interconnectedness of all subjects. The students receive lessons from their teachers and are then tasked to complete follow-up activities that synthesize their learning. Depending on the assignment, the follow-up work may be done individually or collaboratively with their peers. Cooperative work in groups is an important part of the Montessori philosophy. It is in these groups that students have opportunities for lively discussions, problem solving and decision making while learning how to work with others. Skills important for success in school and beyond. The Upper Elementary student is continuing to become more independent and responsible in their social and academic decisions. They are beginning to see themselves as a small part of a bigger world and this fosters the desire to help others globally in the community. Each student has the benefit of instruction each week from all five teachers giving us a broader perspective and insight on each child’s learning strengths and challenges. Teachers tailor presentations for specific curriculum topics while supporting student organization, planning, and follow through with all students as they move through their day. The students are assigned a home room at the beginning of the year where they participate in daily class meetings, math instruction and other curriculum areas as determined by the teaching staff. Typically students spend the morning in their home room and move between the classrooms for lessons in other subjects throughout the remainder of the school day. Montessori students are responsible for taking care of their classroom community and do so by taking responsibility for class jobs that rotate every several weeks throughout the year. These jobs include things such as being the class chairperson at meetings, the zoologist, botanist, locker supervisor, librarian, recess equipment supervisor, shelf or kitchen organizer and many more. At the beginning of the year the students in each classroom establish a class agreement that all students sign. This agreement includes the guidelines and rules the students agree are essential for providing a safe and respectful learning environment for all. Enrichment: The Upper Elementary students also enjoy art and music once a week, and PE and Spanish twice a week throughout the school year. Lunch is eaten in the comfortable classroom space followed by 30 minutes of recess time before the afternoon classes begin. Our goal for all the students is to foster a strong internal motivation and interest in learning through engagement in an academically rich, hands on learning environment fostered by respectful Montessori teachers and a safe, supportive school community.